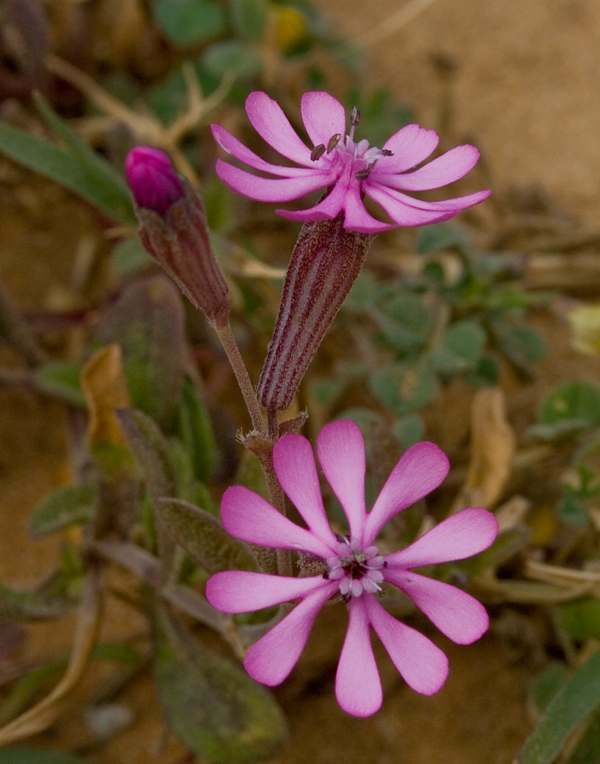 Pink catchfly can be found throughout the Mediterranean region in many habitats from the coastal cliff-tops to the hills and mountains. During its peak flowering time it is a gorgeous sight and forms dense stands of bright pink flowers. 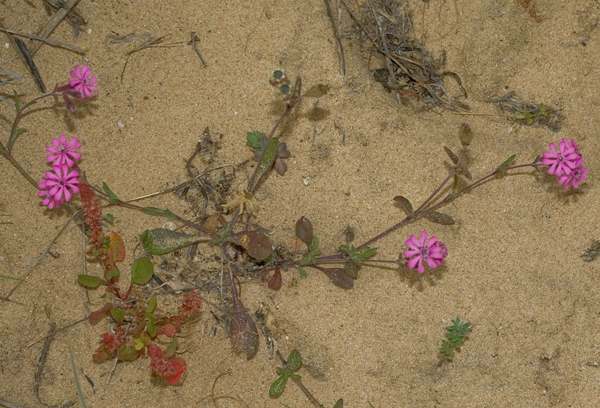 It is a member of the Pink family (Caryophyllaceae). Thesephotographs were taken in the Algarve, southern Portugal, during May.